(Newser) – The Pentagon has just provided every kid who brings home a lousy test score with a possible new defense: "We failed the audit, but we never expected to pass it." So says Deputy Defense Secretary Patrick Shanahan in putting the best possible spin on the results of a long-awaited audit of the department—in fact, the first comprehensive one in the Pentagon's history, reports Reuters. 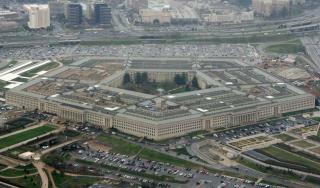 Congress ordered the audit back in 1990, but defense officials didn't begin one until last December. "It was an audit on a $2.7 trillion dollar organization, so the fact that we did the audit is substantial," Shanahan said. Full details have not yet been released, but CNN reports that all branches of the military received "disclaimers," meaning they had problems to address. "'We spent approximately $406 million on audit remediation and $153 million on financial system fixes,' says a Pentagon statement." Well the tax payers spent $500 Billion on you this year alone. So, I guess that makes us even. Johnson need to quit referencing comedy news network as a source. Only 5 out of 21 individual audits received a pass. The largest conclusion was the Pentagon’s IT has compromised the nations security by not taking proper security measures!